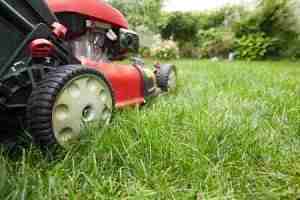 We offer weekly and bi-weekly lawn maintenance. Unfortunately, we are not able to accommodate one-time mowing service. By keeping a regular schedule, we are better able to maintain a high level of service for our regular customers. 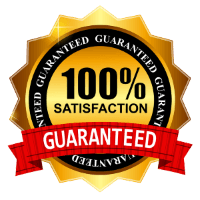 Lawn mowing service – Basic lawn mowing includes cutting the grass with commercial mulching mowers, using a line trimmer to trim around all trees, beds, and fences, and edging sidewalks and driveway with a steel blade edger. Finally, we clean all the trimmings off the concrete areas with blowers. Bush Trimming: We know how to properly trim and shape the various types of bushes and hedges in your yard so that you can enjoy them fully. 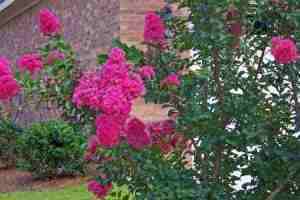 Removing dead wood and excess growth also provides fuller and healthier blooms. Depending on your needs, we will trim monthly or bi-monthly during our regular lawn mowing visit. Flower bed maintenance: We can maintain your flower bed, control weed growth, and keep it looking fresh and healthy. Service intervals depend on your needs.